Hi Tutti fans, Laurie here sharing a Christmas card set I made featuring the Shining Candles die. This is one gorgeous die! Last week I made an elegant silver and white card with it, and this week I have a bit more country look using plaid paper. 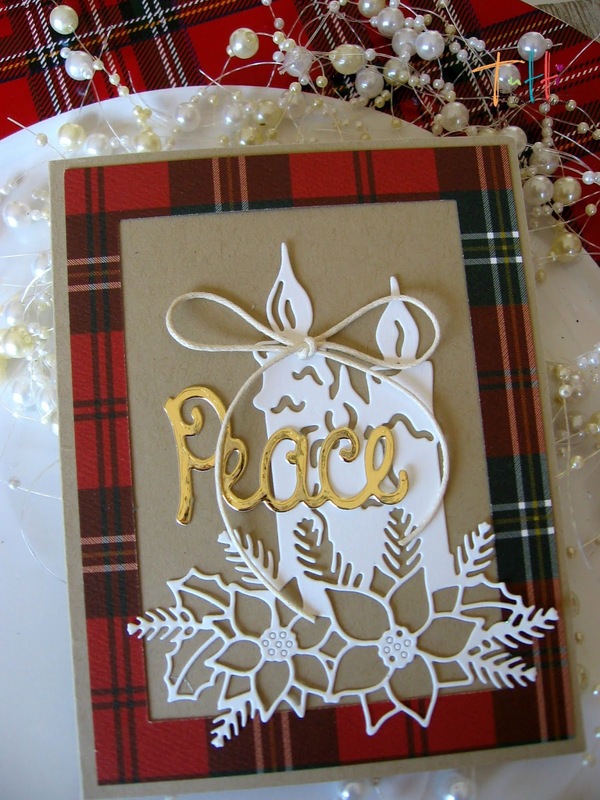 It's no secret how much I love plaid...I love to wear it...decorate with it...and especially make cards with it...lol! 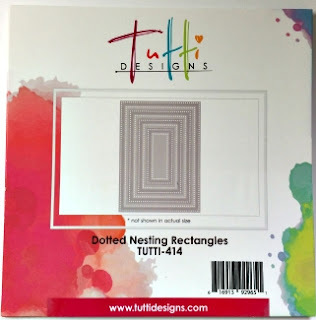 First I cut out some plaid rectangles with Tutti's dotted nesting rectangles....then I added the white shining candles. and added a twine bow. Hello Everyone and Happy Holiday Season!! 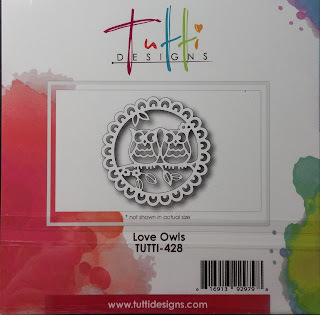 Jenn here today sharing a fun card using not so traditional colors and the amazing Tutti Designs Dies!! 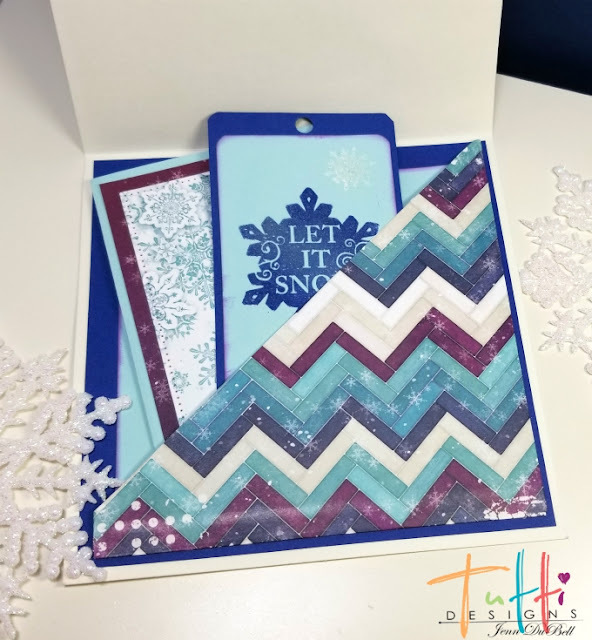 I love this wintery color scheme on a card just as much as the traditional colors, maybe even more! To create this card I started with a 5 1/2 X 5 1/2 Card blank as my base. 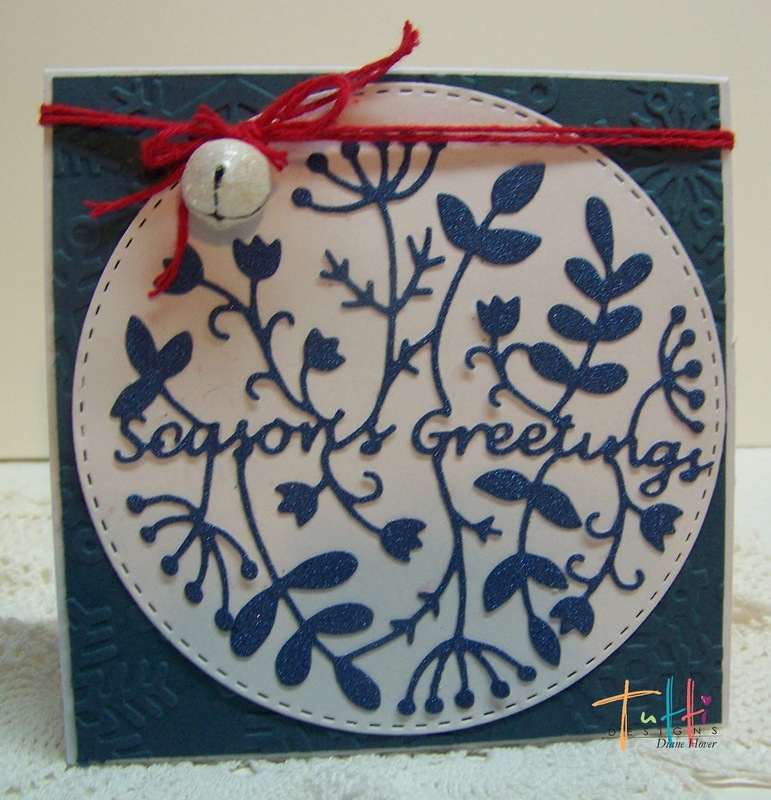 Next I built the front of the card beginning with a piece of navy cardstock cut to 5 1/4 X 5 1/4. On top of that I layered a piece of patterned paper cut to 5 X 5 after inking the edges in a purple distress ink. I then added a band using scraps of light blue and purple patterned papers. The band measures 5 1/4 X 1 1/2. 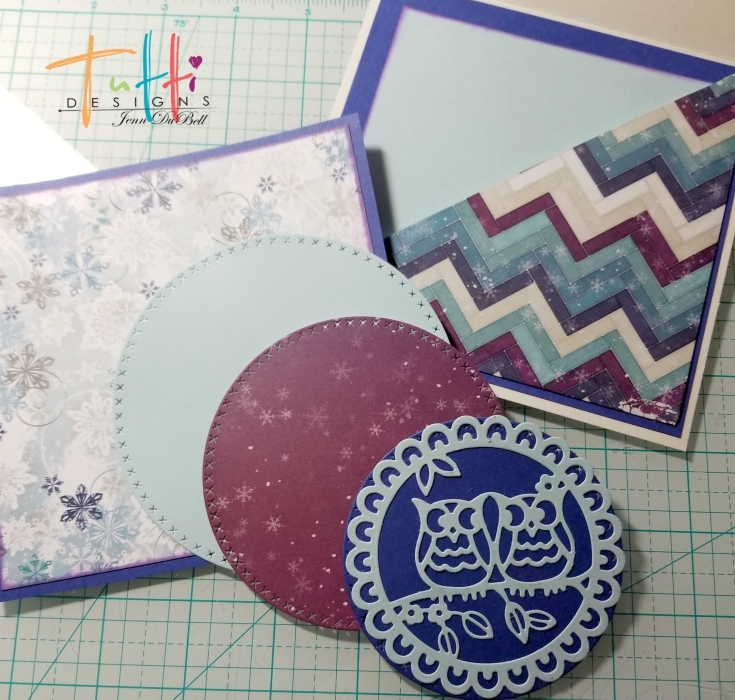 Next the Owl die was used to cut from lt, blue cardstock. 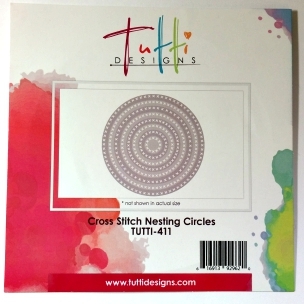 Largest light blue,purple patterned and are adhered flat. 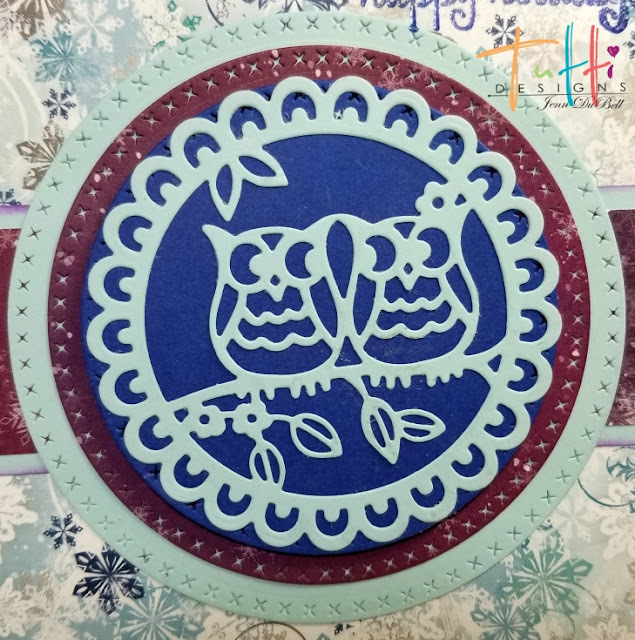 For the navy circle and owl die cut adhere them together first, then add on top of the purple circle using foam adhesive squares for dimension. I also stamped happy Holidays in the top Right corner of the card. I then created a diagonal pocket using patterned paper and adhered it with score tape. For the inside extras I created a tag and a gift card holder using scraps. This was such a fun and festive project! I hope you have a wonderful Holiday Season!! Thank you and welcome, I am here to share my card with you. I also added some clear Wink of Stella to the poinsettia a few layers, as well as some ribbon, twine, and gems. 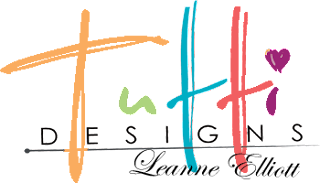 Tutti Designs Seasons Greetings die today. Seasons Greetings die off beautifully. 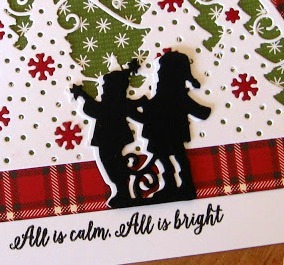 The second card is a 4 1/2" square...cute!! 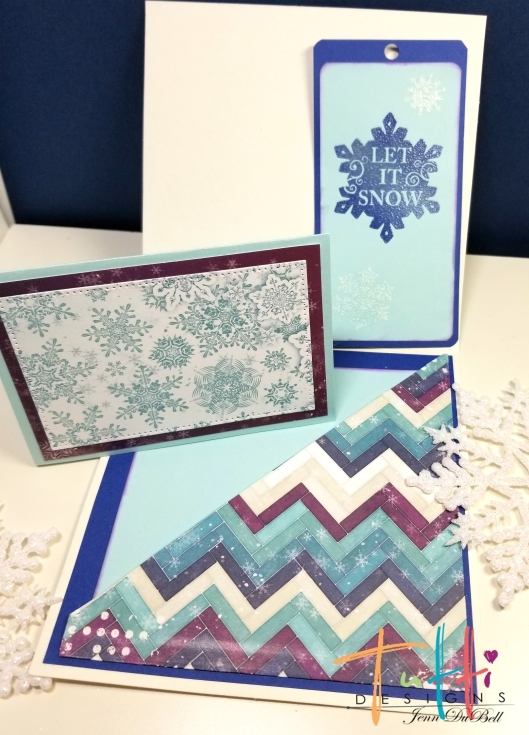 The background is embossed with a snowflake EB folder. which by the way it fits perfectly on. I tied a twine bow and a jingle bell on. the metallic die cut Seasons Greetings on. A few dew drops were added here and there for more holiday sparkle! 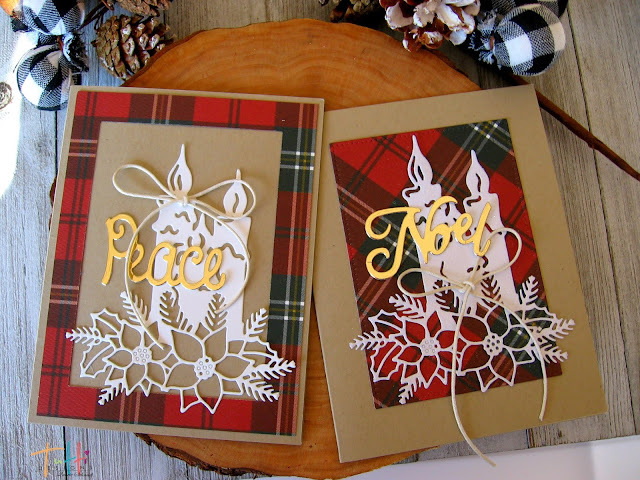 some Christmas cards of your own!. 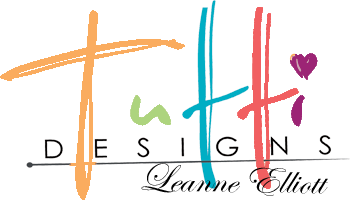 Tutti Designs dies to create a card of inspiration for you. help bring focus to the word PEACE! 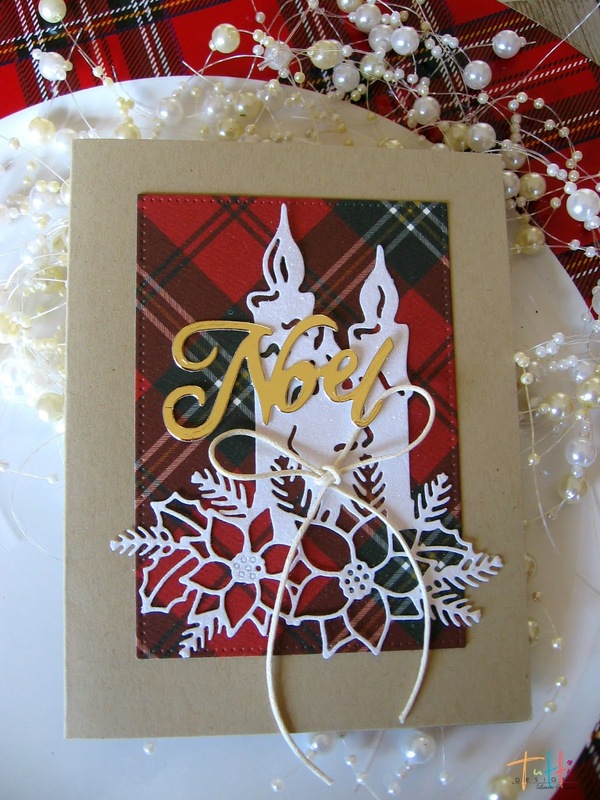 A very clean and simple card that 'says it all'! Happy Thanksgiving! 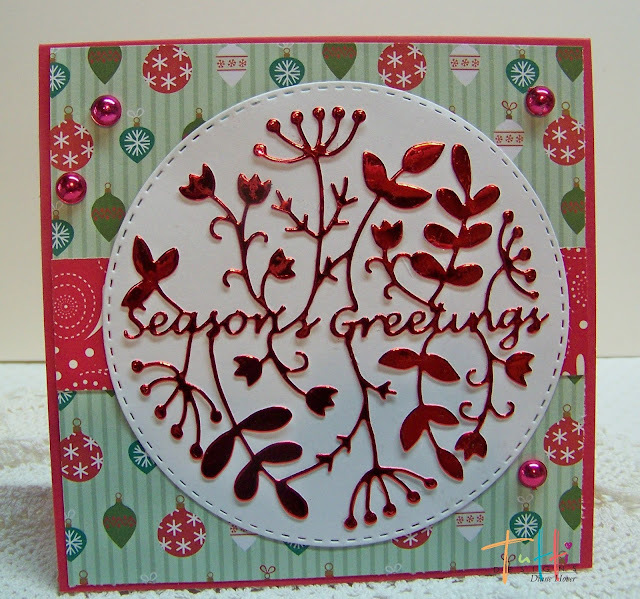 Jenn here sharing my card created for the holiday using the amazing Tutti Designs Dies! I really wanted to be festive with my project today and I used a wonderful array of Holiday themed papers along with the following Tutti Dies. 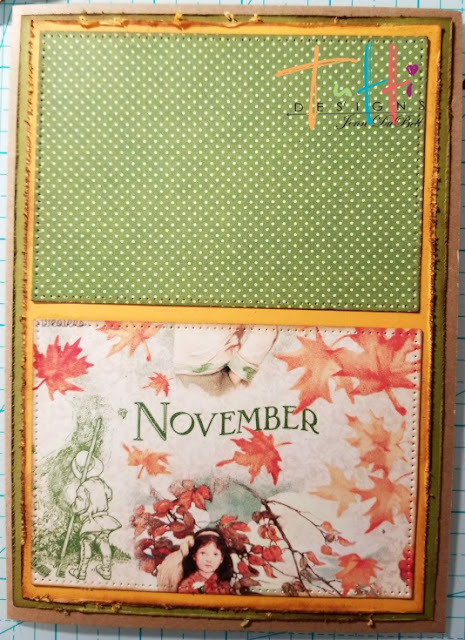 Cut two rectangles from The 2nd largest Dotted Nesting Rectangle Die using two different patterned papers. Add a journal card from the paper collection that has been distressed and inked like the bases. Distress and ink edges as done for the inside and adhere to the card front. Adhere the two rectangle die cuts as shown below. 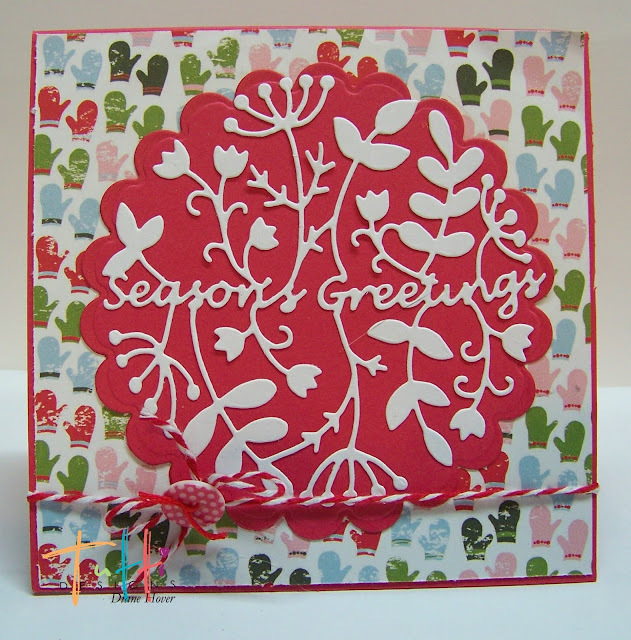 using foam adhesive squares to adhere to the card. Add floral embellishments as desired. 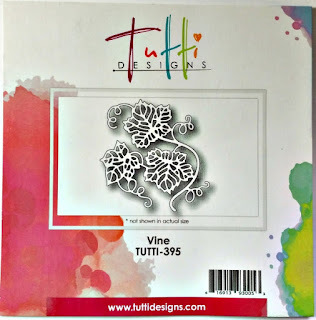 The vine die was cut to fit and tucked around the floral. 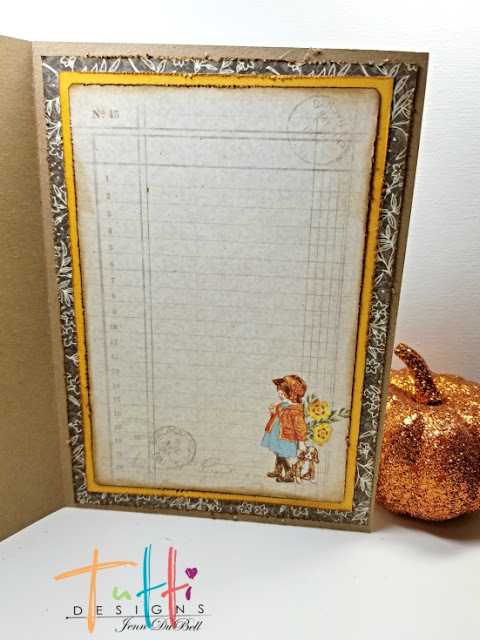 I added curled cut out sentiments and the little cut out stamps. 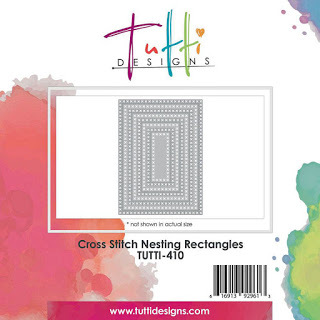 Arched Fir Branch, Cardinal Wreath, Nesting Stitched Scallop Rectangle, Nesting Stitched Rectangle. I used the stitched rectangles as a frame for my stamp and used foam tape to pop up the frame to give more 3D effect. 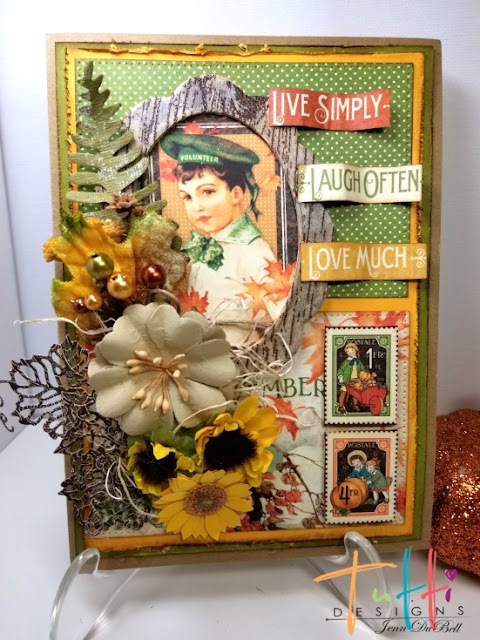 I used the branch die, the bird from the Cardinal Wreath Die on the top. I did use some Wink of Stella on the snowflakes and the bird, but it doesn't show up in the photos very well. I colored my High Hopes Rubber Stamp using Copic Markers and added a small retired SU Merry Christmas stamp to top to finish my card off.